To secure your speedlights to tripods and light stands, you now have two options: the Frio or a new 'Fish' coldshoe adapter. 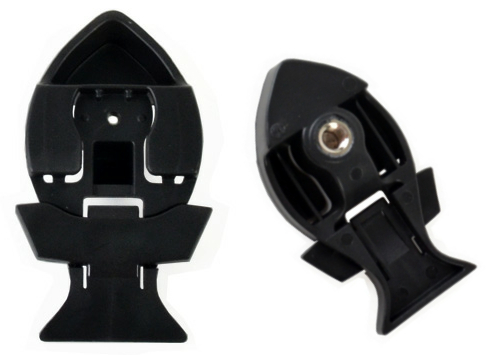 The Frio coldshoe adapter from Orbis/Enlight has been fêted as a universal solution to dropped flashguns everywhere. Using a patent-pending “Dual Lock”, rather than just a single friction clamp or locking pin, the Frio is designed to securely hold your speedlight without it falling out. 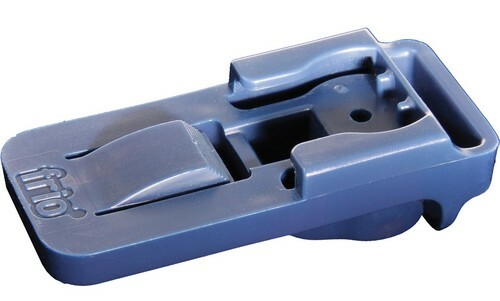 Pictured above, the Frio is clever bit of blue plastic with a 1/4″ tripod socket underneath and a coldshoe on top. A quick-release sprung tab sits behind your flash foot and stops it slipping out until you want to remove it. You can find the Frio for around US$13 from Adorama or B&H Photo. It’s also available from various international dealers. Until now, the Frio has been unique. Now there’s another little plastic mounting accessory that performs the same task. You might argue that it’s a copy, but this one is fish shaped – a crucial point! (Not really – it looks very much like a copy.) 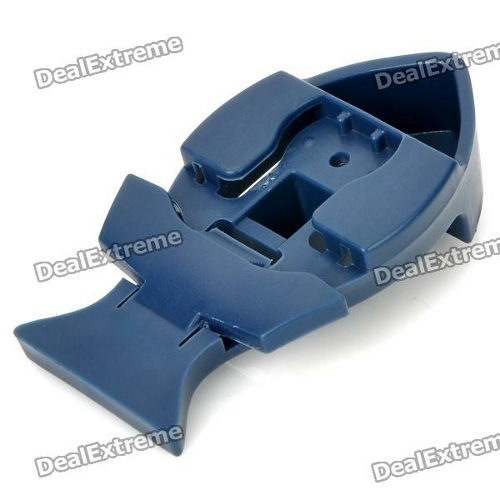 This Chinese universal coldshoe, shown below, is a tripod adapter with a similar design to the Frio. There doesn’t seem to be an official brand name for it so we’ll just call it the Fish coldshoe. The Fish is available in black from Gadget Infinity for $6.95 or in blue from Deal Extreme for $5.00. It’s shipped from Hong Kong, so it may be more worth your while to pay the small amount extra for the genuine Frio from a local Enlight distributor. We haven’t spotted any side-by-side comparisons yet so it remains to be seen if the Fish is as secure as the Frio on which it appears to be based.